It dates from the Jurassic Period, 54 to 136 million years old. 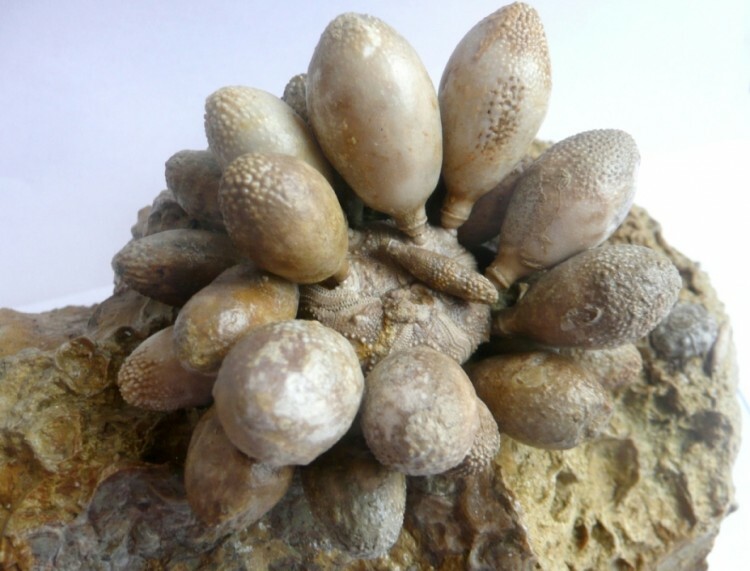 This is a highly aesthetic fossil, and different in that it was discovered in Spain rather than the more common French variety. 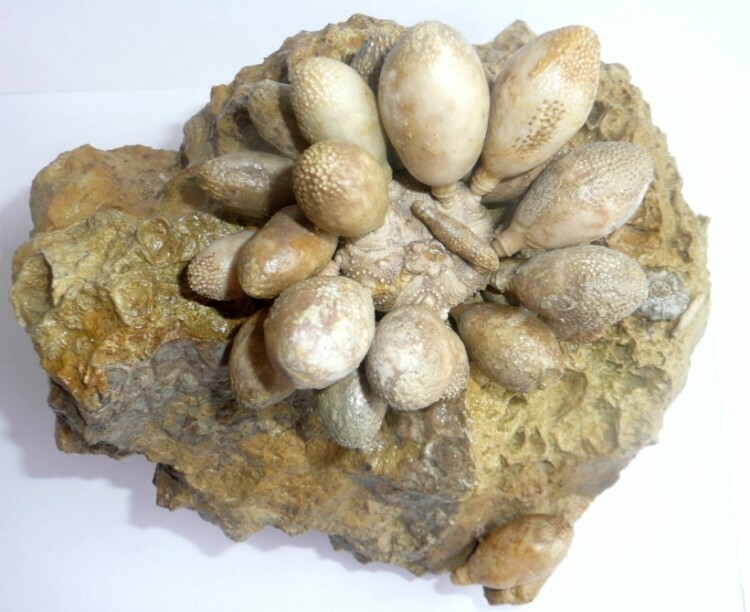 Pseudocidaris, with its numerous bulbous spines, is perhaps the most exotic fossil echinoid in the world. This fossil has been painstakingly cleaned over many hours. 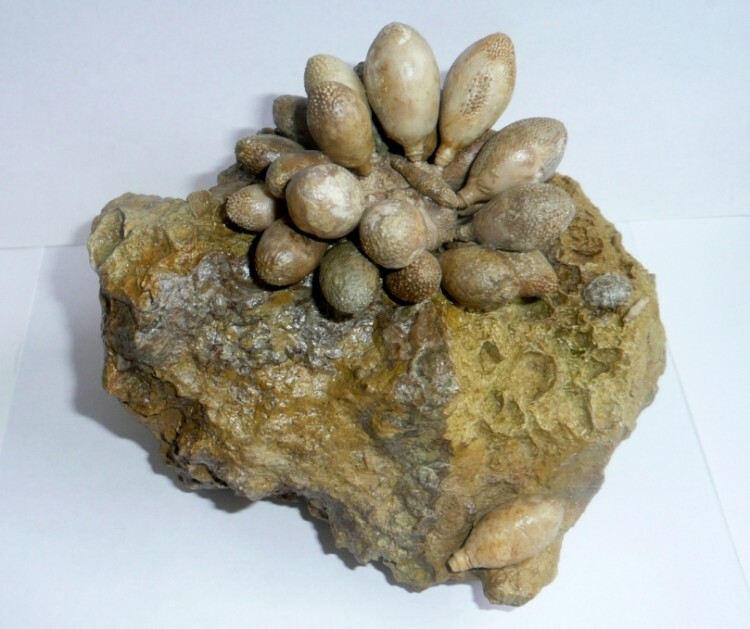 The urchin itself is highly detailed, and the large club spines add to the display.